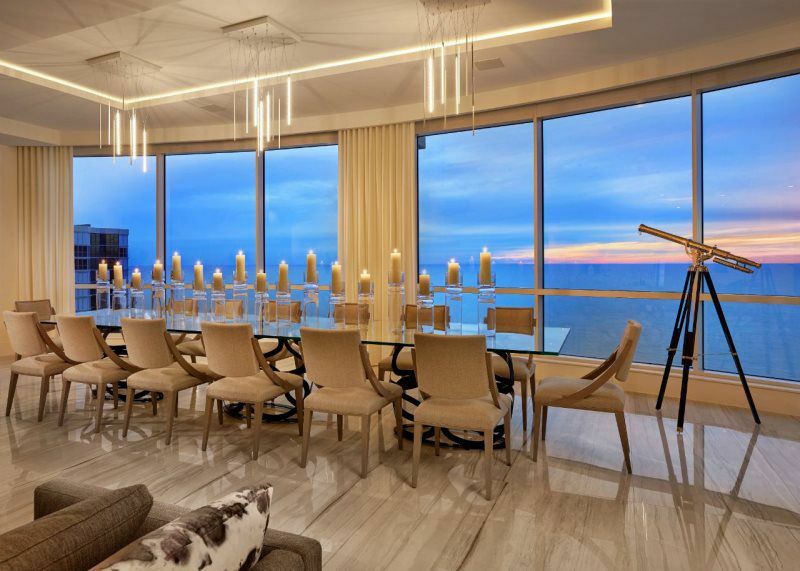 A massive penthouse in Naples at the beachfront Seasons at Naples Cay recently sold for $14.75 million, which was more than $3 million under the asking price but still the biggest condo sale in Naples in at least three years. The 11,698-square-foot residence has five bedrooms, six bathrooms, and 360-degree views.  Additional features include state-of-the-art LED recessed lighting, custom furnishings by Steven G, custom millwork, a polished nickel-finish private elevator, and 31-inch-by-72-inch Italian porcelain flooring throughout. 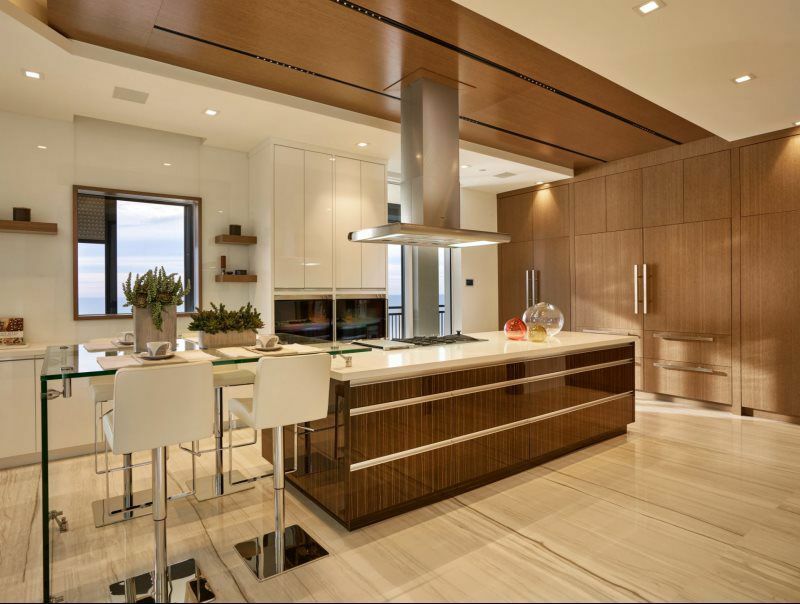 The open kitchen features Gaggenau and SubZero appliances, quartz countertops, and Newood doors hiding the refrigerators and pantries. The residence was gutted and renovated in 2015. 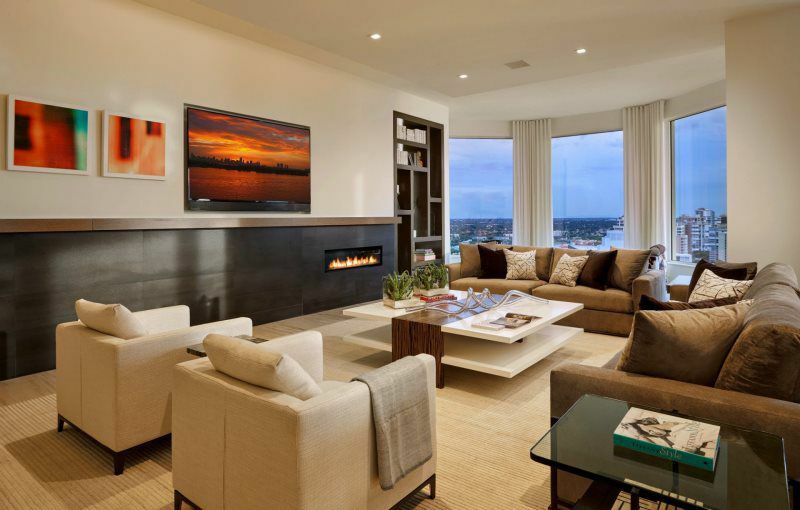 "The marketing referred to it as 'Sky High Luxury,'" said listing agent Jane Bond of Compass. "This is a level of luxury to behold." As soon as Jane Bond stepped inside the nearly 12,000-square-foot penthouse, she knew it had to be hers. The contemporary style. The porcelain tile. The Gulf views. She had never seen any place like it in Naples. I don’t care what it takes, she thought. I have to have this listing. Jane Bond & Steven G.
Jane Bond interviews Steven G. of Interiors By Steven G. In the The Turnberry Ocean Club beautiful model designed by Steven G.
With amenities galore! Coming in 2018. This new high end high rise is slated to be the gem Sunny Isles, Miami. Steven G. shares with The Bond Group his journey and influences of becoming one of the most sought after Designers of our time. "Jane Bond, a broker-associate in Naples & Miami who represented the sellers, describes the expansive five-bedroom residence, with 5-½ bathrooms and a den, as "really, really gorgeous." "To see it was to love it. You fell in love with it when you walked in. The views were undeniable," she said." "Jane Bond, who closed the deal after a top-to-bottom redesign by the seller. 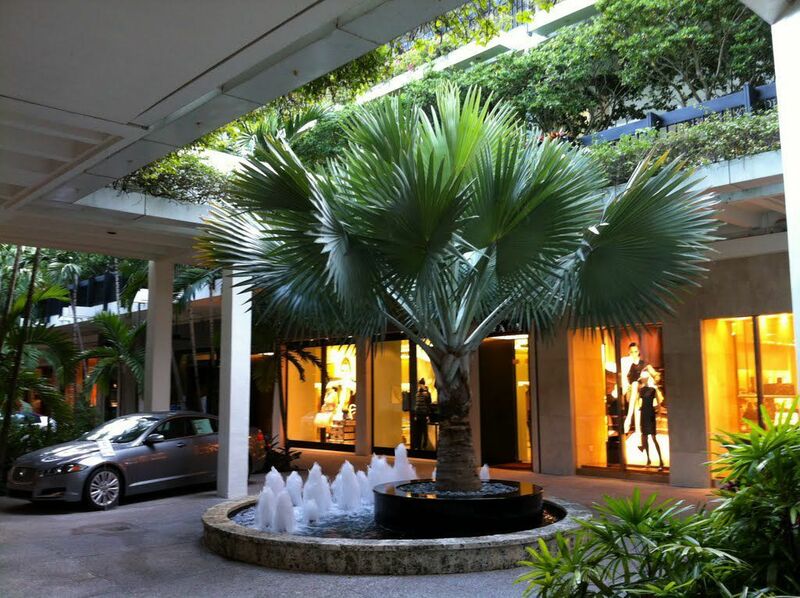 “We had recent sales from $22 million to $40 million on condos in Miami. The high end is moving in Florida.Bond calls the penthouse’s Naples Cay community “a secret garden,” tucked away off of Pine Ridge Road." "The marketing referred to it as 'Sky High Luxury,'" said listing agent Jane Bond. "This is a level of luxury to behold."